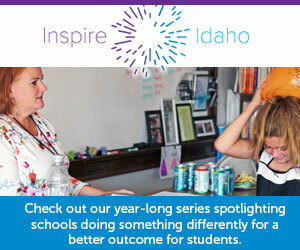 Four-day schools — commonplace in rural Idaho — have gone national, the Wall Street Journal reported recently. And the Wall Street Journal’s national education writer, Tawnell Hobbs, shared her findings on the Education Writers Association’s podcast this week. Over the past decade, Hobbs reported, the number of four-day school districts nationwide has skyrocketed from 120 to 600. The trend is moving out of the rural West, to suburban and urban and eastern districts. In the podcast, Hobbs talks about finding no evidence of backsliding in academics. She says many districts use the four-day calendar as a “perk” to recruit teachers. Many patrons embrace the change, although schools often have to make sure to provide meals for low-income students on off days, and child-care providers have to make sure to provide inexpensive care. “It is, in a lot of cases, a community effort,” she said. Forty-four districts and 11 charter schools use a four-day schedule. The cost savings are modest, and the effects on student achievement are largely unknown. After a months-long, community-wide debate, an East Idaho District drops the idea of moving to a four-day schedule. Parents in the district say they want the flexibility that comes with a four-day week.